does anyone else search the vintage section on etsy or ebay as much as I do? I’m always on the hunt for shoes and it seems like the really good ones get snatched up before I can decide if I want them or not, or the bidding gets out of control. a vintage pair of oxfords I was following on ebay last week spiked up to $145! geez, for that price I may as well just buy some new shoes. 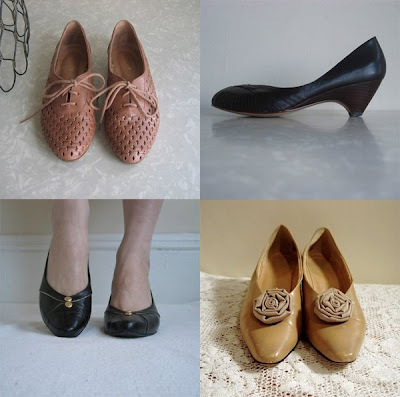 but today I found this darling shop on etsy stocked with lots of vintage shoe goodness, unfortunately none in my size. Vintage shoes always seem to run so much more narrow so even if they are technically supposed to be my size, they never fit. Sigh.